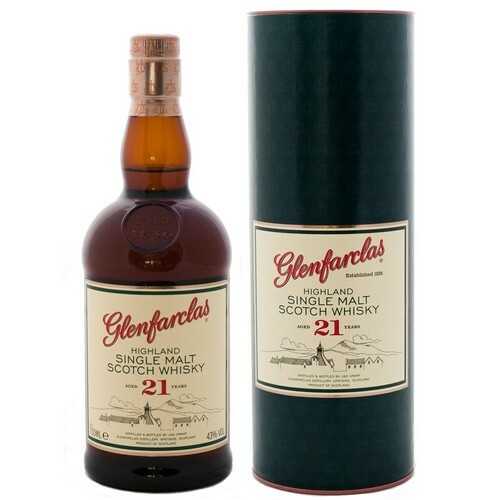 Glenfarclas is a Highland whisky distillery in Ballindalloch, Scotland. The distillery has been owned and run by the J. & G. Grant family since 1865. 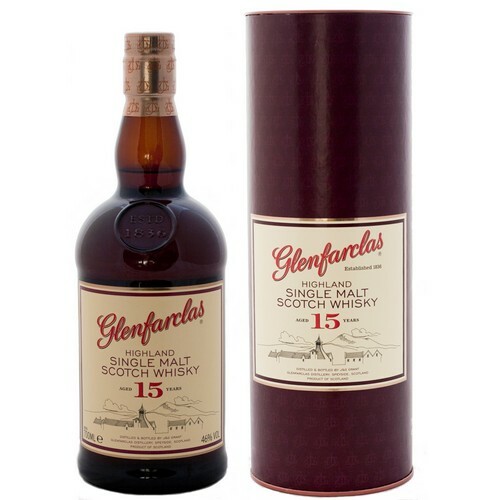 Glenfarclas, which means Valley of the Green Grass, produce a traditional Highland malt with a heavy sherry influence. This one is gift to whisky fans. A delightfully aged sherry-whisky. Not as "sherry bomby" as GlenDronach 21 or Glengoyne 21, but with some really interesting notes of chocolate, dark fruits and the typical taste of Glenfarclas. Lovely old juice. Ripe, gentle and complex. Not the power whisky, but a very harmonic one. Beautiful complex aroma, cherries, raisins, peaches, marzipan, very gentle but also fresh. Not so easy to distinguish. Hazelnuts, mild pepper, lime, caramel, very nice mouthfeel. Orange, bitter peels, malt and dark chocolate on an inviting and very Sherry influenced nose. Super smooth with noticeable Sherry bitter sweet flavors from oranges, dark chocolate, honey, fruit peels, and some malty characteristics. Medium buttery finish - the dram is both revealing and complex. True value when it comes to 25 year old whiskies! definitely let it breath as same as any older whisky, could of been an off day of tasting or bad sample but nothing spectacular, tasting nots are very flat and finish is short lived. tasty but not worth the $150 price point.